Book the Old Town Theatre for Your Event! Whether you represent a community organization, a performing artist, or just looking for a place to host your next event, we have a profitable support plan or affordable booking rate for you. The Old Town Theatre makes every effort to work with non-profit and charitable organizations to keep lease and operating expenses as low as possible. And when it comes to performing artists, we have a variety of booking plans to ensure that your stay in Huntsville is as enjoyable and profitable as we can make it. We are conveniently located in Huntsville's historic downtown square, adjacent to and within walking distance of downtown shops, eateries and lodging. We are able to offer a variety of services to our out-of-town performers, including arrangements for dining and overnight stays. A variety of museums, parks and visitor destinations will provide a relaxing and enjoyable experience, and we offer a "Welcome to Huntsville" package (on request) that will introduce you to all our historic community has to offer. 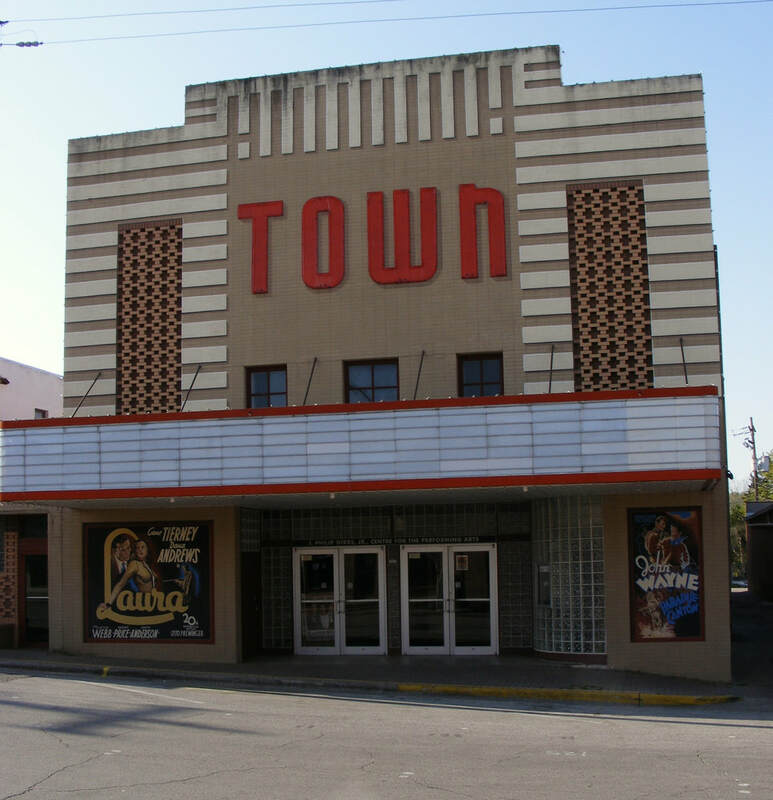 Come see today why the beautiful Old Town Theatre is known by performers and audiences - near and far - as the "Gem of East Texas." Call us for booking information at: 936-293-8681; or Send us a Message by clicking on the Join Us tab above.